Climate protestors have glued themselves to the fence outside the Labour Party leader’s Islington home. 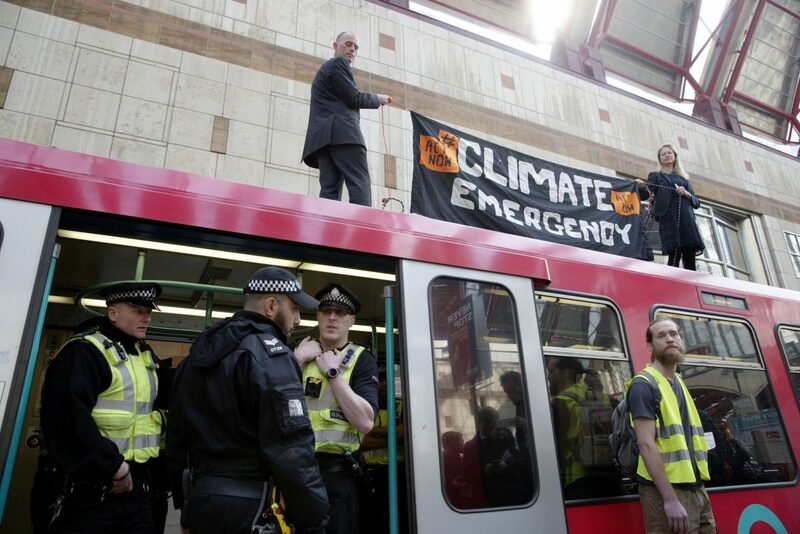 Jeremy Corbyn has not appeared to talk to the four protestors who say they want the Labour Party to go further than declaring a “climate emergency”. 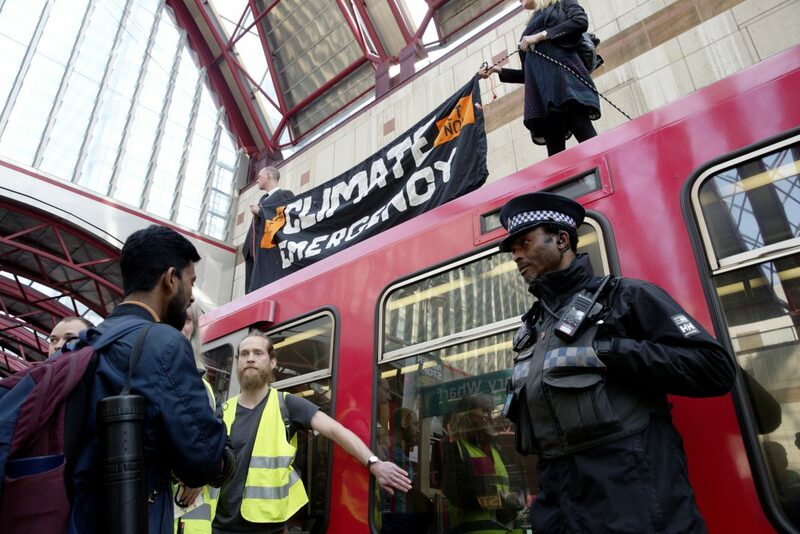 48 hours into the international protests calling for emergency measures to bring climate change under control, key central London thoroughfares are still at a standstill and protestors are starting to target public transport in a controversial move. London Mayor Sadiq Khan said that while he appreciated their cause and the urgent need to tackle climate change, he was “extremely concerned” about their plan to disrupt the London Underground. Wifi was turned off to disrupt attempts to coordinate activism on the tube. 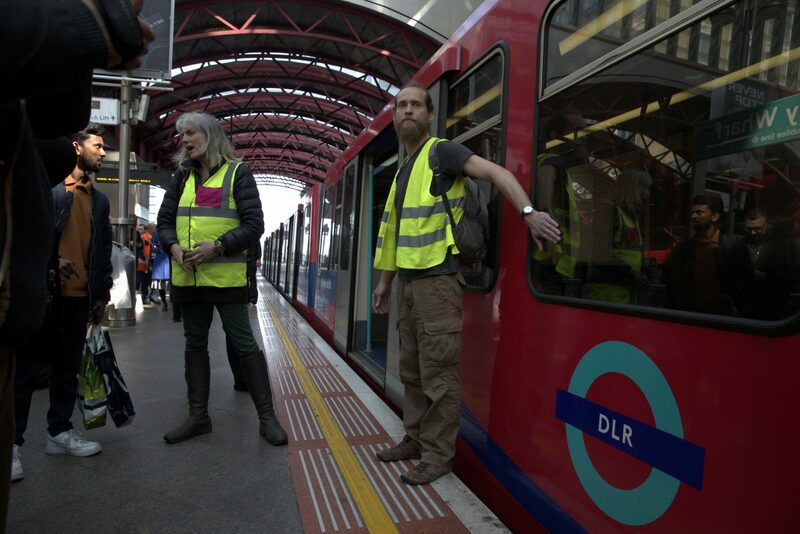 “It is absolutely crucial to get more people using public transport, as well as walking and cycling, if we are to tackle this climate emergency – and millions of Londoners depend on the Underground network to get about their daily lives in our city,” said Khan. 55 different bus routes and the travel of an estimated half a million people in the capital have been affected so far. 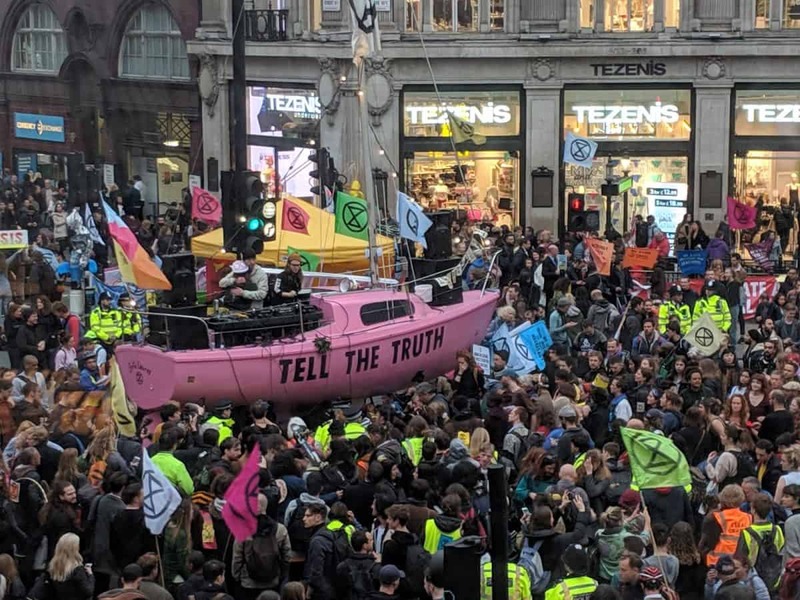 A pink boat playing party music was part of the disruption at Oxford Circus, a DIY garden party with guerilla gardening kept Waterloo Bridge and there is a festival atmosphere buoyted by the warm weather at the traffic stopping activities at Marble Arch and outside parliament. There have been around 300 arrests so far in London. 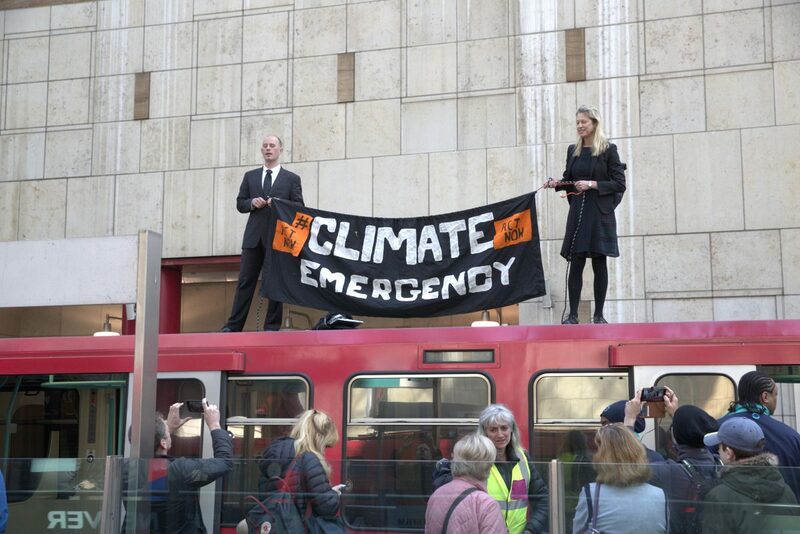 In dozens of other cities around the world activists have been campaigning for urgent climate change action to stop an extinction level death of biodiversity. In Scotland, Extinction Rebellion protestors have taken a bridge in Edinburgh; Dutch rebels have occupied the International Criminal Court in The Hague; and a slew of further actions spans across America, from San Francisco to Chicago down to Mexico; from Australia to India. 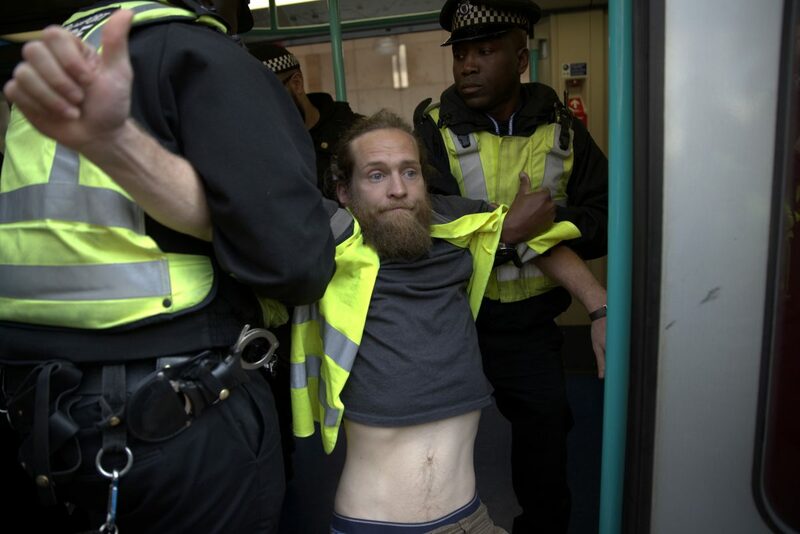 It comes as the climate change activists continue their week of ‘International Rebellion’ which has seen them shut down Waterloo Bridge and Oxford Circus and glue themselves to a train at Canary Wharf today.